Register Log In GliderCENTRAL Forums Regulations & Laws usda licensing? not sure if this is the right are to be posting a question on licensing or not? 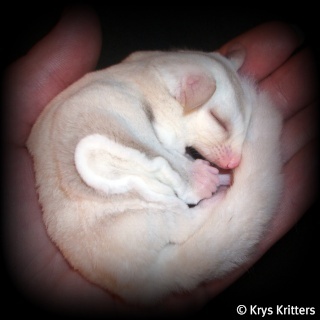 but i was wondering how does it work, do you only buy gliders from a licensed breeder or is only suggested? It depends, if they are usda licensed you know they have been checked out as far as their gliders health and housing etc...but you can only get a USDA license if you have 3 or more breeding females...So there are plenty of good breeders out there that arent licensed as well, they are only small scale or hobby breeders and dont have 4+ breeding female animals. 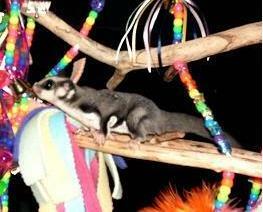 Yeah some breeders only have 1 or 2 like myself i just got my second pair (8 week oope ringtail mo and wfb female heck yeah lol super happy)I dont think i can handle more lol but if i do decide to one day usda is a must,if you ever go to a breeder that has all kinds of breeding pairs but isnt usda i would buy from them. dang!! thank you both for your answers they were greatly helpful to my cause. that was something that was bugging me for a little bit. p.s. amanda synder congrats! those sound like some epic looking gliders! A) Can you have 3 breeding pairs without being licensed? Or would that require a license? B) Is it just your females you are keeping for breeding that count or any females you have? I apologize, I'm sleepy lol! It's all going up and over tried looking online but nothing is registering. A) Can you have 3 breeding pairs without being licensed? Or would that require a license? With three breeding pairs you should be licensed. B) Is it just your females you are keeping for breeding that count or any females you have? It counts for any female exotics you have. for example you could have 2 female gliders and a female hedgehog, since all are exotic animnals... you could get the USDA. Does not matter who is breeding or not. "Sec. 2.1 Requirements and application. (iii) Any person who maintains a total of three (3) or fewer breeding female dogs, cats, and/or small exotic or wild mammals, such as hedgehogs, degus, spiny mice, prairie dogs, flying squirrels, and jerboas, and who sells only the offspring of these dogs, cats, or small exotic or wild mammals, which were born and raised on his or her premises, for pets or exhibition, and is not otherwise required to obtain a license. This exemption does not extend to any person residing in a household that collectively maintains a total of more than three breeding female dogs, cats, and/or small exotic or wild mammals, regardless of ownership, nor to any person maintaining breeding female dogs, cats, and/or small exotic or wild mammals on premises on which more than three breeding female dogs, cats, and/or small exotic or wild mammals are maintained, nor to any person acting in concert with others where they collectively maintain a total of more than three breeding female dogs, cats, and/or small exotic or wild mammals regardless of ownership;"
Last edited by MeghanLynn; 10/14/11 01:46 PM. Thanks Meghan for posting that. I wonder if they changed it or if I was misinformed. When I called I was told 3 or more but I guess it is really 4 or more. Thanks for the correct info and link. Thanks I probably wouldn't even do 3 pairs, maybe 2 we'll see lol! But that still leaves me wondering cause from the sounds of it on that link.. unless they're purposely being kept to breed, then they don't count towards the 3 breeding females?? I got 4 females right from the get go in a non breeding colony, since then I've got another with her neutered cagemate.. I won't have my breeding female til around Christmas. This is all going up and over lol! When I first read about this I must have found some outdated information (back in January.) Cause I had read any female that is able to reproduce counts, so at that point my dog and all 4 female gliders counted? It's so confusing lmao! The law as written is "more than three BREEDING females". How that is interpreted by your local inspector is up for grabs. Some say it is more than three BREEDABLE females because you can always switch their cage mates. My local office says it is "actively breeding females". It has been said that is more than three breeding females OF ANY species (regulated by the USDA) in the house but I've not seen that written in the law. Ok thanks It's just all confusing and of course I choose to read it right before bed lol! Sleepy plus all these words jumbled together = not very well put together in my mind. Wow that's really cool to find out! So I guess the licensesing is not as big of a deal as I thought, but thank you all for the Epic Information im much abliged.